Are you frustrated about the repeated breakout of acne on your face? Men and women with oily skin frequently suffer from acne breakout. Hormonal changes and unhealthy food habits can also lead to the appearance of acne. There are many synthetic chemical based products that you get at the pharmacist for treating acne. But they may not be as effective as they promise. Moreover, they can also cause some side effects as they contain chemicals in them. So, it is better to look for some natural remedies for treating acne. Rosehip oil is great for treating acne. The safest way to treat acne is to try home remedies that have been used for ages. Rosehip oil is one such natural option. It is not only good for treating acne, but also for treating other skin problems like blemishes, scars and pimples. Although there is some difference of opinion among dermatologists regarding the efficacy of rosehip oil, most of them are of the opinion that rosehip oil has the ability to heal, and therefore can treat acne and heal the skin. Rosehip oil is very beneficial for the overall health of the skin and its appearance. By using rosehip oil on the skin regularly, you can not only get rid of acne and blemishes and get clear skin, but also make your skin firmer, shinier, healthier and younger looking. The oil is extracted from the seeds of rose bush. It is mostly harvested from the plants growing in the southernmost parts of Andes, the Chilean rose bushes. This oil is a rich source of Vitamins A, E and C.
Rosehip oil is full of nourishing agents that your skin needs. It is packed with fatty acids and high-quality vitamins like Vitamins A, C and E. According to skin experts, appearance of acne is an indication that your skin is dehydrated and needs proper nourishment. Imbalances in the pH levels can also cause acne breakout. Applying rosehip oil on the skin can make a great difference. It is highly nourishing and protects your skin from acne breakout. It also keeps the facial cells from getting blocked. In addition to being effective for treating acne, rosehip oil is also great for reducing the symptoms of eczema and dermatitis. It also reduces the scars and blemishes that are formed by acne. This oil is rich in linoleic acid, which is good for healing pimples and acne scars. If you do not want to use harsh chemicals on your face or want to avoid the side effects as a result of using synthetic products on your face, rosehip oil is the best option. Applying rosehip oil on your skin regularly is an easy way to reduce scars. Rosehip oil is rich in skin nourishing nutrients. Essential fatty acids like omega-6 and vitamins A, C and E are found in this oil. You can get this oil in different forms. To treat acne, all you need is a few drops of concentrated rosehip oil. You may also use this oil in other forms such as in facial moisturisers or even as anti-aging serums. 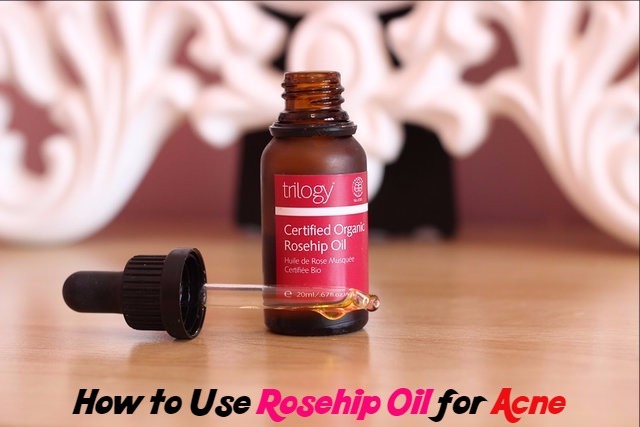 Since rosehip oil has gained great popularity recently, you can get this oil easily. It is now gaining popularity as the product used by celebrities for taking care of their skin. Skin firming elements like elastin and collagen are rich in rosehip oil. These help in reducing premature aging of the skin and also improve the process of skin regeneration. Rosehip oil contains omega-6 fatty acids, which can repair damages skin cells and provide you healthy skin. Fatty acids prevent your skin from flaking. Your skin also becomes dry and prone to acne without fatty acids. Fatty acids in rosehip oil can also prevent the inflammation and blotchiness that you experience when there is acne outbreak. Rosehip oil is a rich source of Vitamin C. This vitamin is great for protecting your skin from the damages caused by the environment. It is also good for repairing the skin fast. It has the ability to tighten the skin pores. This way it helps in reducing blockages in the skin cells. It also increases the production of collagen, which is needed for the optimum health of the skin. Vitamin C considered as an excellent anti-aging agent because of its ability to increase the production of collagen. Vitamin C fights against the free radicals that can break down the skin cells and cause acne eruptions and wrinkles. This vitamin also helps in reversing the damage done to the DNA during acne production, and helps the body to fight against keloid scars. Vitamin A, commonly called retinol, is also present in this oil. You get creams containing retinol for treating acne and other skin problems. However, rosehip oil is a natural remedy for treating acne as it contains retinol in high amounts. It keeps your skin healthy. It can repair damaged cells, increase the flow of blood and control acne breakouts by keeping a check on the excess production of oil in the skin. Rosehip may make your skin sensitive to sunburn. So, avoid going out in the sun after you apply rosehip oil or any product containing this oil. Use only small amounts of rosehip oil on your skin. If not, it may pile excess of oil on your skin and lead to negative effects. Handle this oil with care and keep it away from children and pets. If you have a highly sensitive or allergic skin, rosehip oil may have negative effects on your skin. So, it is better that you test the oil on your elbow. If it causes any redness or irritation, avoid using it to treat acne.